Customers experience an increasing demand for highly secure and compliant solutions as they face data breaches along with requests from governments to access online customer information. New regulatory requirements such as the General Data Protection Regulation (GDPR), which governs the collection and use of individuals’ data, makes selecting cloud services that help customers achieve trust, transparency, security, and compliance essential. 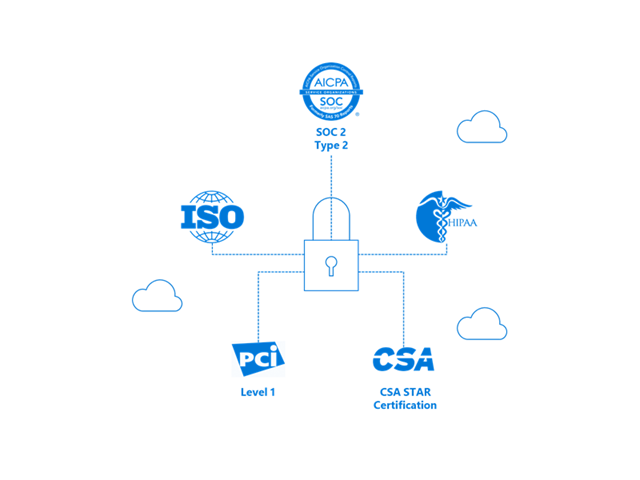 To help customers achieve compliance with national, regional, and industry specific regulations and requirements Azure Database for PostgreSQL and Azure Database for MySQL build upon Microsoft Azure’s compliance offerings to provide the most rigorous compliance certifications to customers at service general availability. Microsoft Azure has over 50 national, regional, and industry specific compliance offering that Azure Database for PostgreSQL and Azure Database for MySQL leverage as part of Microsoft’s Trusted Cloud foundation of security, privacy, compliance, and transparency. To learn more and access additional resources, visit the Microsoft Trust Center. What are the compliance offerings for Azure Database for PostgreSQL and Azure Database for MySQL and what do they mean for customers? Achieving these compliance offerings means that Azure Database for PostgreSQL and Azure Database for MySQL has specific policies, technologies and controls deployed to protect data and the associated infrastructure of cloud computing that Azure Database for PostgreSQL and Azure Database for MySQL run on. Achieving these offerings means that Microsoft operates the services in an industry standard compliant manner. It also means that Azure Database for PostgreSQL and Azure Database for MySQL customers can attest to their customers, regulators, and partners that they have selected and operate solutions on top of compliant cloud services. Customers selecting Azure Database for PostgreSQL and Azure Database for MySQL obtain additional benefits beyond the peace of mind that our compliance offering provide. Microsoft offers the Azure IP Advantage for services running open source technologies. The Azure IP Advantage offers best-in-industry intellectual property protection, uncapped indemnification, the ability to deter, and defend lawsuits with patent pick and broad protection with a springing license. Visit the Azure IP Advantage to learn more. Azure Database for PostgreSQL and Azure Database for MySQL are continuing to pursue even more compliance certifications that we will announce in future blogs and as part of Azure’s compliance offerings. Selecting Azure Database for PostgreSQL and Azure Database for MySQL as your database service provider means that you are selecting services for you and your customers that are not only compliant with the most rigorous standards but are backed by the Azure IP Advantage for additional piece of mind. Customers can freely innovate knowing that they are protected by the best standards and intellectual property assurance program in the industry.